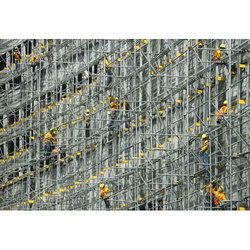 Steel Shuttering, Staging & Formwork System. 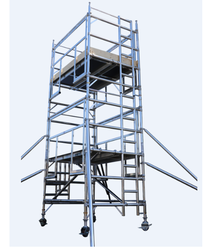 H-Frame Scaffolding System is the one of the most consuming allied product of steel scaffolding system in building construction line. The uses are multiple to support Beams, Slab, Staging of Bridges, storage of building material. and easy movement on the top of the work place by labor and engineers. H Frame System is Light weighted and easy in transportation with longer lasting in uses.